Make this broccoli and cheese casserole recipe for your Thanksgiving! When it comes to your Thanksgiving table, the turkey is the main event. But, it’s also important that you have plenty of sides. Mix up your traditional mashed potatoes and cranberry sauce, and add this broccoli and cheese casserole recipe. It’s the perfect addition to any Thanksgiving meal. Here’s what you need to get started. Start by preheating the oven to 350 degrees and preparing a casserole dish. In a medium–sized saucepan, heat two tablespoons of butter and add in the onions to cook until they’re translucent. After the onions are cooked, add in the flour so that they’re thoroughly coated. Let them cook for an additional few minutes before adding the milk. After about two minutes, add in hot milk and bring to a simmer. Next, add in the cheese slowly to make the cheese sauce. Then add in the broccoli and stir. 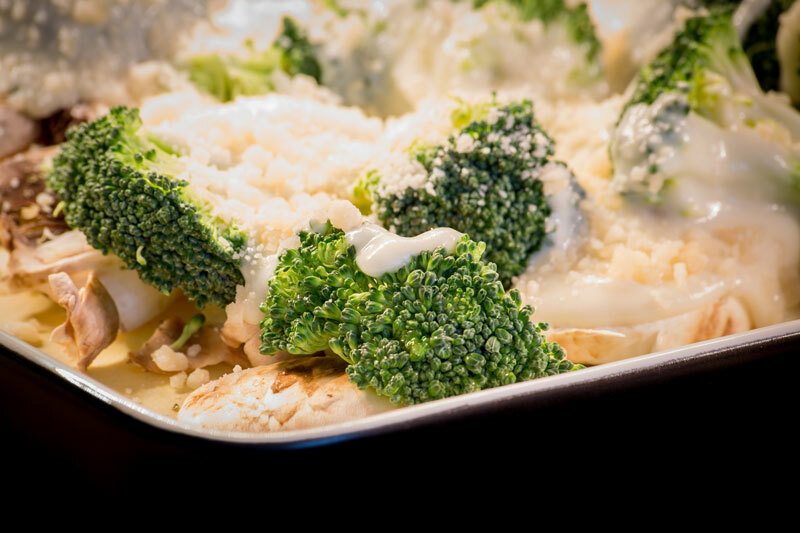 Transfer the broccoli and cheese into a casserole dish. Melt the remaining 2 tablespoons of butter in a frying pan and add the cracker breadcrumbs. Once thoroughly mixed, add the breadcrumbs to the casserole dish so that the top of the dish is covered. Put the dish in the oven and bake for about 20 minutes or until the casserole is browned and bubbly. Serve this dish warm with your Thanksgiving meal and enjoy with friends and family. Remember to put safety first this Thanksgiving. Ensure that you’re your home is well protected with the right homeowners insurance. For all your insurance needs, contact the professionals at The Schwab Agency, located in Colleyville, Texas.